At the musical exchange performance within the scope of the recent culture week of Viet Nam organized in the end of August in Phnom Penh, Cambodian singer Sun So Vanari made Viet Nam’s artists so surprise by Vietnamese songs that she sang fluently in Vietnamese language. Nobody believed that she is a Cambodian singer because of her standard Vietnamese pronunciation. Sun So Vanari has practiced more than 10 Vietnamese songs including Nha Trang mua thu lai ve (The summer comes back Nha Trang), Ha Noi, niem tin va hy vong (Ha Noi-faith and hope), Mua xuan tren thanh pho Ho Chi Minh (Spring in HCMC) and so on. In the reception given by Prince Sisovath Panara Sereyvuth, Minister of Culture and Fine Arts of Cambodia, most Vietnamese artist were so moved and admired the duet of Sun So Vanari and Vietnamese singer Thanh Thuy, who expressively performed Nguoi oi nguoi o dung ve (Please stay, don’t go), a famous Quan Ho folk song of Bac Ninh, Viet Nam’s northern province. “Formerly, I had studied at the Conservatory of Music of Ho Chi Minh City for a short time and enjoyed many Vietnamese songs. Although I has a limited Vietnamese vocabulary to understand contents of songs, emotional melody is sufficient for me to feel composers’ sentiment. I listened to imitate the Vietnamese song CDs until obtaining the most standard pronunciation. When I came back my homeland, I kept on practicing new songs.” Sun So Vanari said. Sun So Vanari is now teacher as well as deputy director of the National School of Fine Arts in Phnom Penh. 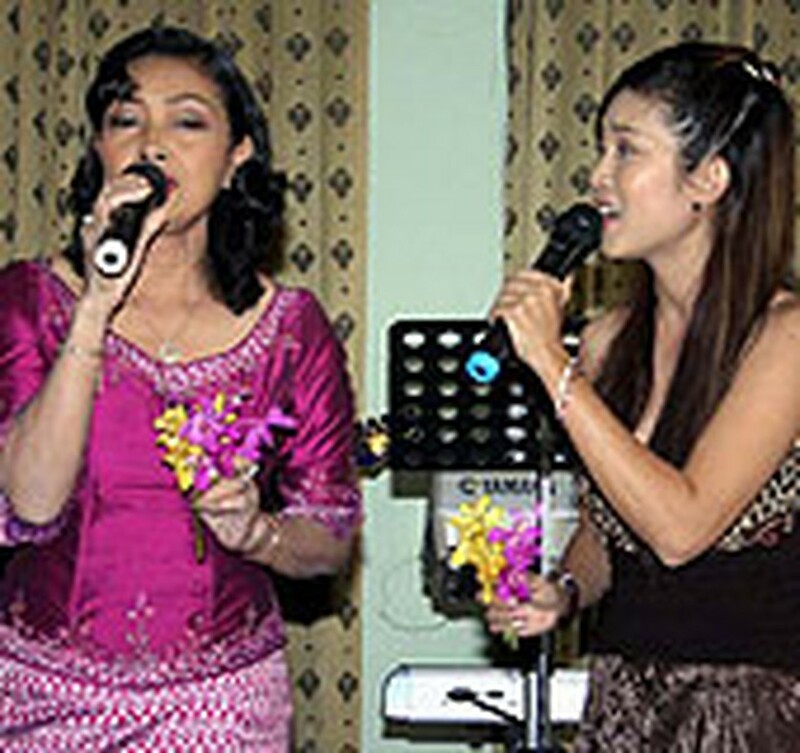 She is one of famous singers who are usually invited to perform at the receptions of the royal government of Cambodia. Reportedly, Sun So Vanari will perform Vietnamese songs at the culture week of Cambodia which is expected to take place in the not-too-distant future in Ho Chi Minh City.